This was no ordinary robbery. As described by the Sangguniang Bayan (SB) staff present, the break-in was perpetrated by municipal employees connected with the Office of the Mayor led by Municipal Budget Officer Catalino Sumaylo and Municipal Administrator Alejandro Arbutante. Fuertes was out of the office when the municipal employees destroyed the locks of the doors leading to the SB session hall and Fuertes office and carted all the documents they could get their hands on including a steel cabinet, laptops and an undetermined number of office records. The whole episode was captured on video but the group remained unperturbed and efficiently followed the orders of Sumaylo. 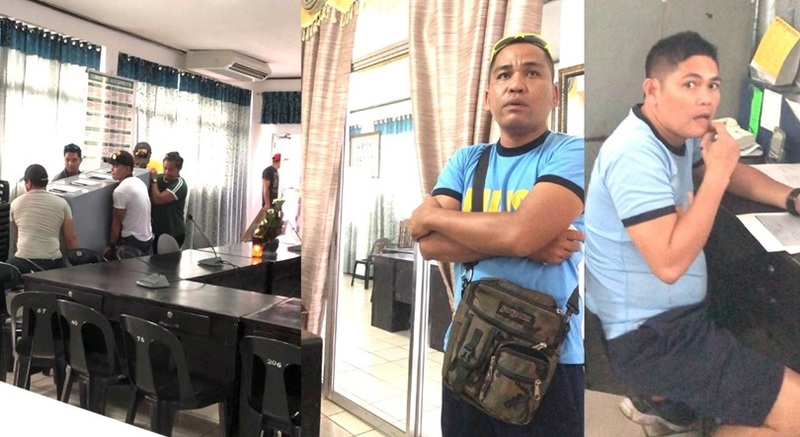 The incident occurred at 3:15 in the afternoon on December 27, 2018, and was successfully carried out right under the very noses of two uniformed Philippine National Police (PNP) officers – Police Officer 2 (PO2) Roy Pacatang and PO1 Jerson Entice, members of the Panglao Police Station. The two police officers were dispatched to answer the call for assistance from one of the staff of the SB but allegedly ignored the pleas of the SB secretary to act on the “apparent ransacking” unfolding in their presence. The two police officers reportedly advised the SB staff to “just report the incident to their office,” according to the report. But Panglao Acting Chief of Police, Police Senior Inspector Neon Francis Alvarez clarified to the Chroniclethat the presence of the two police officers was to preserve peace and order through their visibility. “At that point, the two police officers could not determine who was right and wrong. We are non-partisan and our presence is to prevent any untoward incident to fall on those present,” Alvarez said. An SB employee, on condition of anonymity, told the Chronicle that when they confronted Arbutante the reason for barging into the session hall and the office of the vice mayor, the municipal administrator answered that they were just following orders from the mayor. Montero did not respond to a text message from the Chronicle to give her side on Arbutante’s claim. Sumaylo was tagged by the SB staff as allegedly giving instructions to the group on the office equipment to be brought out including documents on the table of the Vice Mayor and a steel cabinet believed to contain what they were looking for. However, Sumaylo argued that they cleared this operation from the National Bureau of Investigation (NBI) while pinning the blame on Fuertes for his alleged refusal to hand over documents requested by the Mayor, according to the Chronicle SB source. Arbutante and Sumaylo also did not respond to text messages from the Chronicle. Atty. 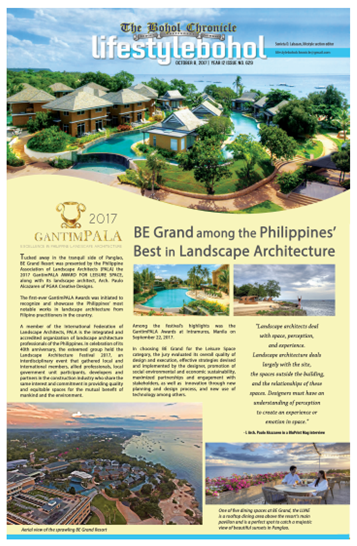 Renan Oliva, NBI-Bohol Director, almost blew his top when asked by the Chronicle if information on the move of the LGU Panglao to enter the Vice Mayor’s office was relayed to his office as claimed by Sumaylo. The NBI has yet to render a report on the sealing of the door in the office of Fuertes with cement and hollow blocks perpetrated by still unknown persons on October 20, 2018, also in the presence of four Panglao police officers. A day before the incident, Sumaylo, according to Fuertes barged into his office and brusquely ordered the turnover of several pieces of office equipment including his table. Sumaylo’s group failed in their attempt to take away what they demanded after Fuertes challenged them to show a copy of a DILG order implementing the Court of Appeals resolution reinstating Montero as mayor of Panglao. A similar incident where biometric machines were forcibly pried from their location reportedly in the presence of two police officers was also reported. Based on the testimonies of the SB employees who were present, a group of 18 municipal employees broke into the SB session hall and Fuertes office using a “drilling machine” operated by workers of a private firm who was then installing glass panes and general carpentry works at the municipal hall. Three workers of a private firm including its manager were reportedly enticed by the municipal employees to drill holes in the doors leading to the SB session hall and the office of the Vice Mayor. But the manager expressed ignorance on the real nature of the request to use their drilling equipment and was surprised when she came face to face with the SB secretary, according to the Chronicle source.